Specializing in portraiture and macro imagery, Gina's work has not gone unnoticed. 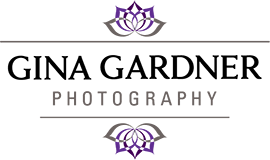 For the past 5 years since her CPP accreditation, Gina has won numerous awards throughout the country and has been featured in the Professional Photographers of America annual collections. As a self-described “perma-student”, Gina is continually learning and perfecting her skills, which is evident throughout her body of work. Most recently, she earned her Master Photographer degree from PPA, recognizing her superior photographic competence demonstrated through photographic competition, advanced education and service to the profession. As a Certified Professional Photographer, Gina Gardner is more than just your average woman behind the lens. Growing up in Reno and raising her own family in Las Vegas, this lifelong Nevada resident has a passion for capturing the beauty in life around her. After raising three beautiful children with her husband of 24 years, Gina has put her heart into photography.